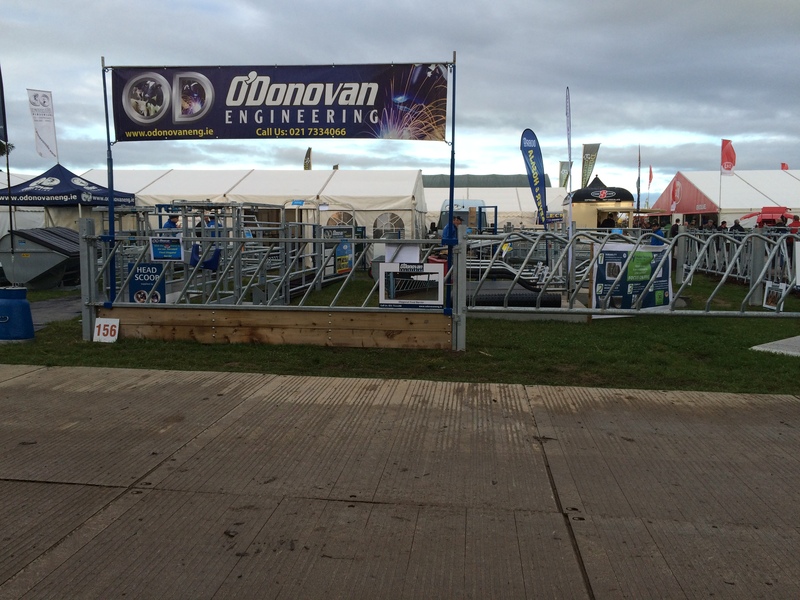 All the team here at O’Donovan Engineering had a great time at this year’s National Ploughing Championships. It was wonderful to see such a big crowd gathering for the event. The stand was busy from early Tuesday morning to late Thursday evening. It was a very successful and rewarding week. We were delighted to meet so many people at our stand, both old and new customers. We hope you all enjoyed it and had a nice cup of tea while you visited. It was great to hear such positive feedback from our customers. It is this feedback that helps us improve our products and produce new products that is right for you. This is why we love attending these shows to get feedback direct from our customers. We had all sorts of visitors at the stand, one of which was the most memorable. This beautiful and very friendly Shorthorn bull visited us to test out the comfort of our mats on a few occasions throughout the week. 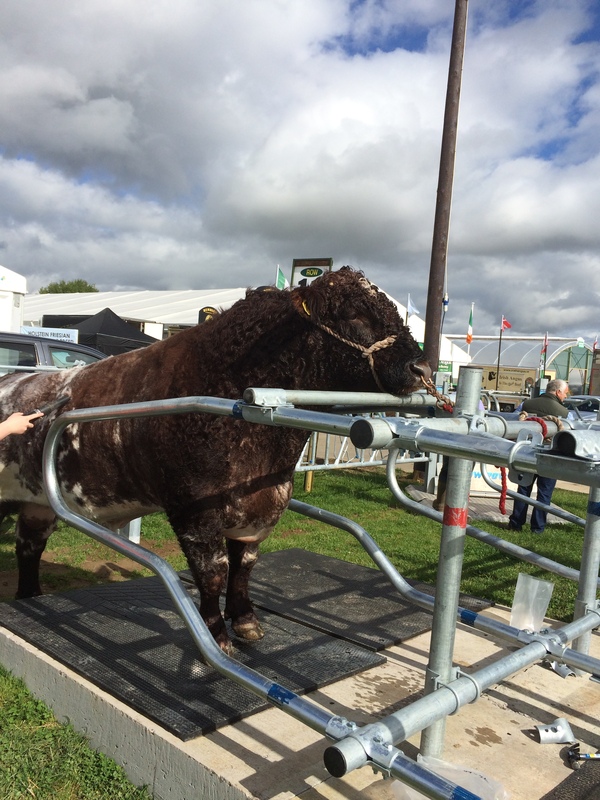 There was one morning where we even set up a beauty cubicle for our favourite bull at the show to blow-dry his hair for the busy day ahead. 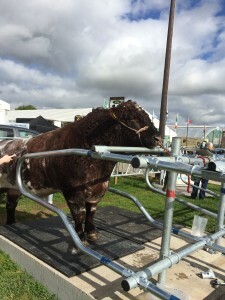 The National Ploughing Championships is always a great week, and it lived up to the expectation this year. We are already looking forward to next year’s show which will be an exciting year with the change of venue. We will see you all next year in Tullamore for another great week. 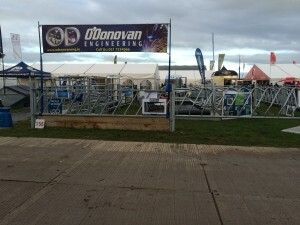 Don’t forget if there was anything you saw at this year’s show that you want more information on, do not hesitate to contact us on 021 7334066 or email us on info@odonovaneng.ie.